In the commemoration of the 3rd anniversary of Typhoon Haiyan, Hack the Climate will stage its first ever Clean Technology Hackathon and Training happening in Palo, Leyte and Tacloban City. It is part of the 8th NICP ICT Summit 2016, in partnership with the National ICT Confederation of the Philippines (NICP), DOST Region 8, Philippine Science High School – Eastern Visayas Campus, Seed4com, Move.ph, Millenia Suites, ThinkLab and Unionbank of the Philippines. Hack the Climate is a climate change themed Hackathon that is formed out of the desire of a two Princeton University College Students, named Michael Lanchanski and Jacob Scheer to help the Philippines in their battle for climate change through Technology and Innovation. 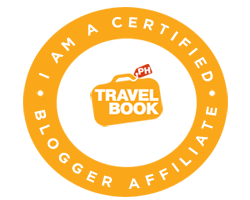 With the help of their Filipino counterparts, Elaine Cedillo, Diego Jose Ramos and Rizzel Jill Dy, Hack the Climate was born in June 2013. “Hack the Climate in Leyte is our 5th since we started and we hope that we can bring this project across the country” said Elaine Cedillo, the lead project coordinator for this leg. “Hack the Climate is more than just a hackathon, it is our advocacy. Educating the students and young professionals about the adverse effects of climate change while challenging the developers to create a solution for climate change adaptation or mitigation, and through that, the participants are empowered to do something to help our environment,” she added. 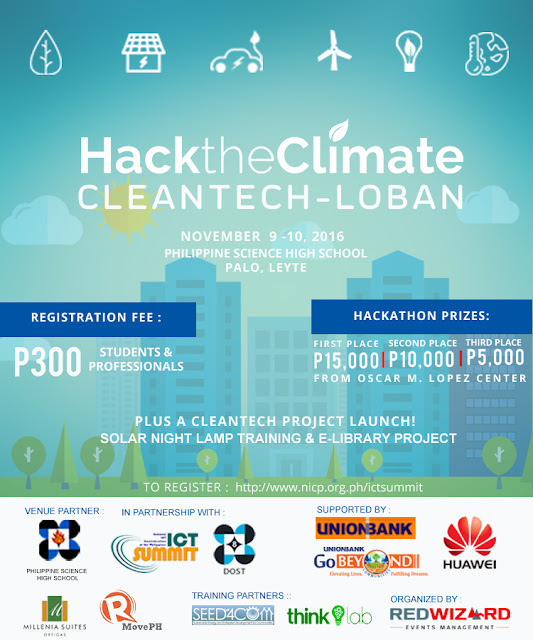 This year’s Hackathon is dubbed as “Hack the Climate Cleantech-Loban” and it will be a three-part event. They will be launching their first solar e-Learning facility for Alternative Learning System and a Solar Night Lamp assembly livelihood training program for the out-of-the school youth and partner NGO’s, plus a conference – hackathon about Climate Change Mitigation and CleanTech. Philippine Toy Library located at Palo District 1, Barugo Leyte with more than 100 learners and at Pambujan, Samar with more than 90 learners will be the beneficiaries of an e-Learning set-up consisting of laptops from Huawei Philippines powered by solar panels which will be donated by Unionbank of the Philippines through their Go Beyond CSR. The Solar Night Lamp that will be produced during the training will be donated to a fishing community in and around Tacloban. The hackathon, a coding marathon, happening on November 9-10, 2016 at Philippine Science High School in Palo, Leyte, involves a specific theme where participants will be creating web or mobile applications, or hardware solutions. The conference happening simultaneously with the hackathon features speakers to educate and enlighten the audience to what is happening with our environment and how it affects each and every one of us, and different technologies which can be used to help in creating solutions. Clean Techloban is supported by the Ramos Peace and Development Foundation, Inc. and the OML Center for Climate Change Adaptation and Disaster Risk Management Foundation, Inc. and organized by Redwizard Events Management. For more information you may log on to : http://hacktheclimate.com/ or like their facebook page : https://www.facebook.com/HackTheClimate.